Try out a paddleboard or rowboat from the NWMC beach. Sign up for these 30 minute rides at the Free Rides Booth adjacent to the beach behind the NWMC. All ages can try out a paddleboard in the paddleboard pool on the Point. This is great for those who have never been on a paddleboard before. Journey back in time aboard replicas of Captain George Vancouver’s boats from 1792. 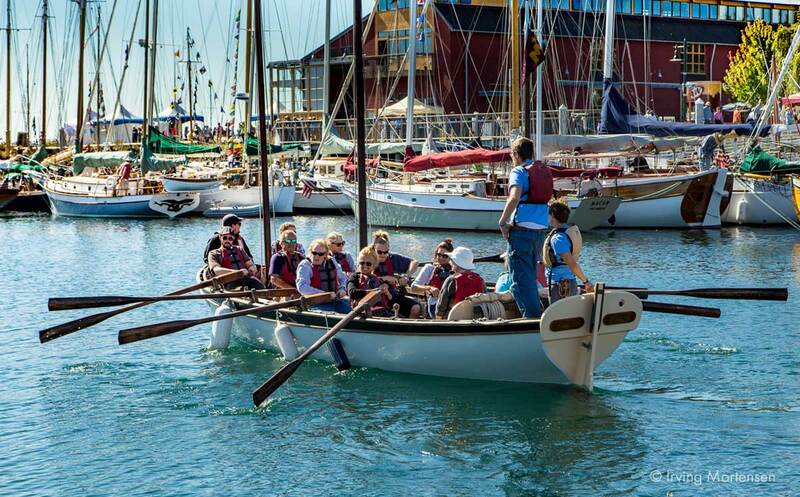 Work together as a crew to row and sail aboard these 26’ open boats with 8 rowing stations. Ages 12 and up. 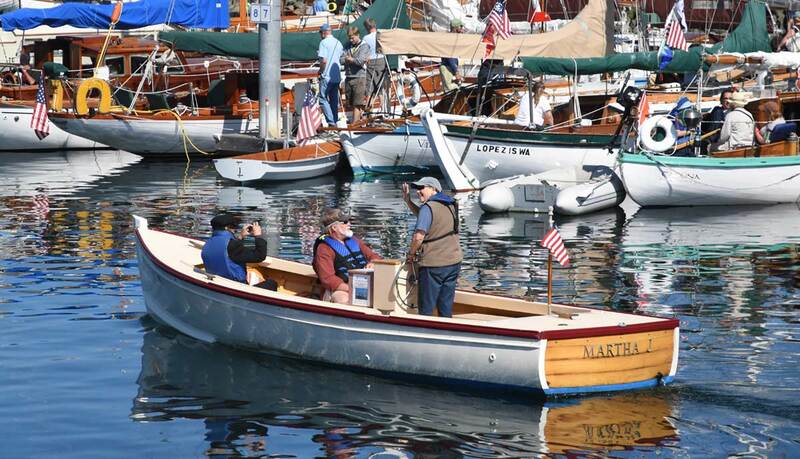 Signups start at 9 AM each morning at the longboat dock in the northeast corner of the marina. Take a ride on the beautiful Martha J—a 1984, 24′ motor launch built by Richard Pulsifer in Maine. Leave from the Northwest Maritime Center dock on the hour and half hour. Maximum 8 people per ride. 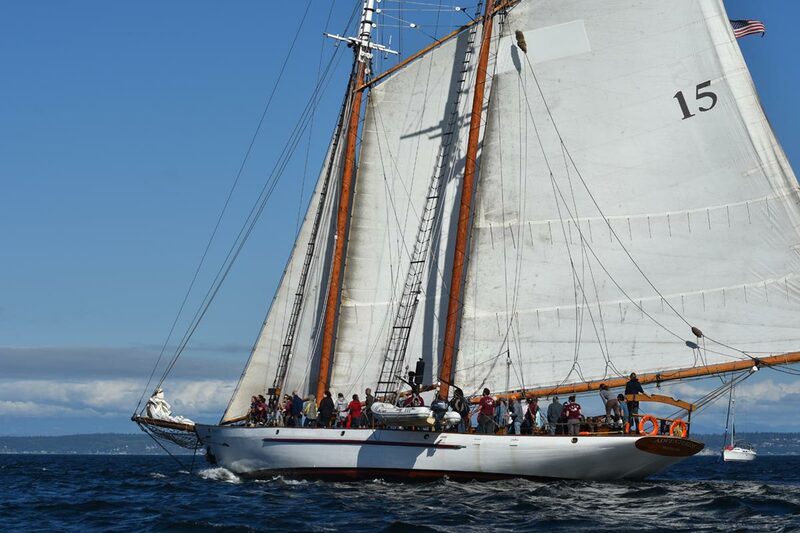 Adventuress has a full sailing schedule and we want to see you out on the water helping to raise sails, taking pictures of the classic wooden boats, and helping the crew put Adventuress through her paces. This year Sound Experience members receive a 15% discount on sails. Please note: Members’ free sails do not apply during the Festival. Please visit soundexp.org to purchase tickets. As a thank you to the local Port Townsend community, Sound Experience is offering Half Price Friday! Dates and prices listed below are from 2018. 2019 info coming soon. *Sound Experience members receive 15% off. *Members, please call Susan at 360.379.0438 x1 to get the discount code for 15% off, or if you need help purchasing tickets. 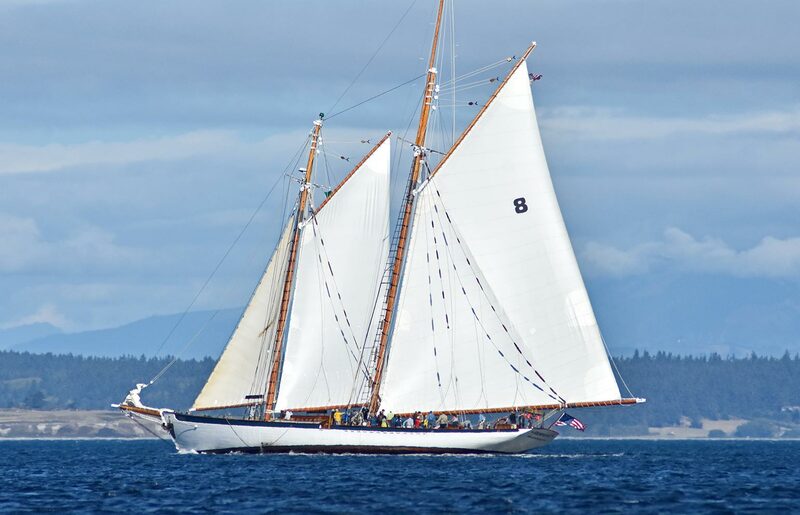 The Zodiac is a classic gaff rigged schooner built in 1924, and at 160’ she is the largest historic windjammer in the Pacific Northwest. Passengers are welcome to help raise and maneuver the sails, take a turn on the ship’s wheel and explore below decks. All of our festival sails include buffet meals cooked fresh in our galley by our professional chef. We also have a full bar service on deck. Lunch and dinner sails daily for the Festival. Please visit schoonerzodiac.com or call us at 206.719.7622. Be on the NWMC dock for pick-up 30 minutes prior to sailing times.